Providing the leading Star Trek RPG to the Internet. Jazza has been a member of UCIP since 2001, having served on numerous SIMs and Services Departments. He holds the UCIP rank of Fleet Admiral. 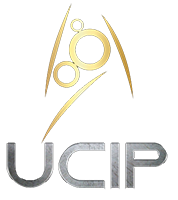 Jazza served as President of UCIP and Starfleet Chief of Staff until 2014. In April 2014, Jazza passed away peacefully in his sleep. In accordance with the regulations of UCIP, his Vice President – Aurora – succeeded him as President. Her first act was to posthumously grant Jazza the title of ‘Life Member’ and promote him to Fleet Admiral. Across his tenures as Commander-in-Chief and President of UCIP, Jazza has been the longest serving leader of UCIP. Jazza also commanded Starbase Versailles. Copyright © 2019 UCIP. Theme: Zakra By ThemeGrill.